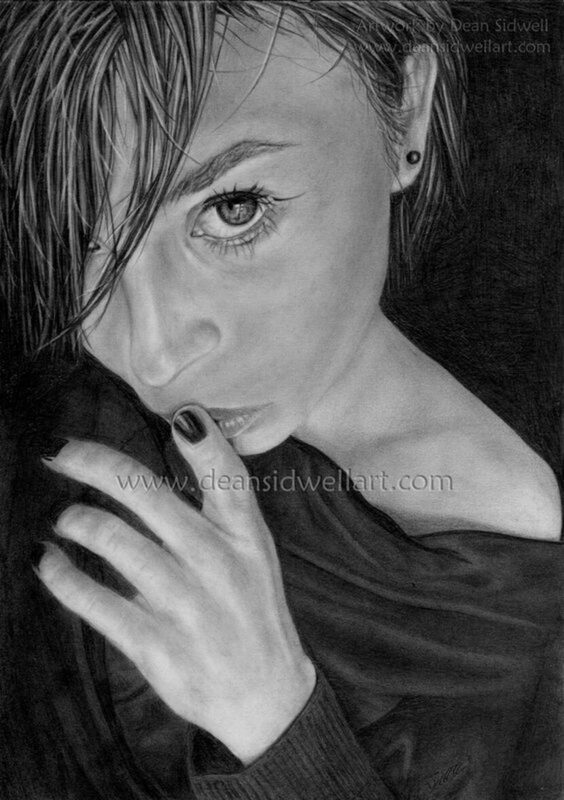 An artist from the United Kingdom, I specialise in detailed pencil drawings. gothic & fantasy art, animals and landscapes. You can see my artwork in T﻿he Gall﻿ery. so try to keep stopping by to see what's new. 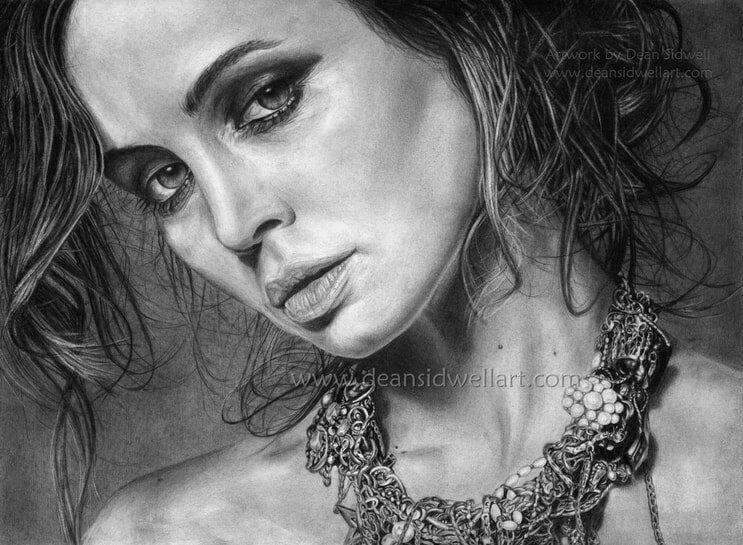 Pencil drawing of the American film and television star, Eliza Dushku. One of my favourite portraits that I have drawn. A very realistic piece with an extremely detailed necklace. Size A3, using HB and 2B 5mm mechanical pencil, HB 7mm mechanical pencil, various different grades of pencil ranging from 2H – 5B, blending stumps, tissues, kneaded & normal erasers and eraser pencil. Pencil portrait, Size is A4 (210mm x 297mm) 220gsm smooth cartridge paper. Drawn using HB and 2B 5mm mechanical pencil, various grades of pencil ranging from 4h to 5B, tissues, cotton buds, blending stumps and erasers. Drawing of the television and film star. She's probably best known for playing the lead role in the show Buffy the Vampire Slayer. I used HB and 2B mechanical pencil 0.5mm, blending stumps, tissues, cotton buds, normal and kneaded erasers. Size is A4. ​In the Works In Progress Gallery I will keep you updated with all the latest projects that I am working on.It is also where you can see work in progress pictures of my earlier drawings. So, if you are interested in seeing my drawing process, this is the place to look. You can now find Dean Sidwell art on YouTube. Here's a little video with some background music, it features my drawings and artwork. I will keep it updated with new stuff as often as possible. ﻿﻿Click here to see more of my artwork in my gallery. © All drawings , artwork and photos on this site are by Dean Sidwell and are not be used without written permission.